From kindergarten to Grad School; we have an appropriate educational and fun event for all. One of the time honored and most powerful forms of Native American tradition is the art of Story Telling. The human art of Story Telling,: connecting person to person is more pertinent than ever. The Re connection to the vivifying power of culture, nature and human creativity stirs in our senses and keeps the passion of wonder alive. ​When we listen to the ancient stories of this land, we are transported back thousands of years around the fire where they were first told. We hear the wisdom, humor, creativity and Oneness that they understood so long ago. Larry Spotted Crow Mann is recognized as being one of the most compelling, insightful and entertaining Story Tellers of our generation. He has traveled throughout the USA, Canada, Greenland and Europe sharing in the legends and stories of his Algonquin ancestors. · Lectures on Indigenous topics, including environmental, Nipmuc history, Spirituality, Unity Building, cultural-political issues, Native American Identity and more. · Substance abuse prevention awareness. · Youth Mentoring focused on empowerment & reclaiming Identity. · Youth Writing workshops with an emphasis on personal creative growth, team building, diversity & critical thinking around healthy choices. Each Presentation is designed to be interactive, educational & enjoyable. Larry Spotted Crow Mann is an awesome and entertaining Nipmuc Traditional Story Teller. The legends he shares will awaken all your senses and inspire your imagination though lessons and laughter. These ancient tales will bring you intimately closer to the Nipmuc People of long ago and demonstrate how the Tribe of today remains connected to their heritage. Another very important part of Mann's work has been advocating for drug and alcohol prevention In Native American Teens. This is certainly an issue for all youth but by far Native American teens have one of the highest rates of drug and alcohol problems which has lead to staggering levels of teen suicide. 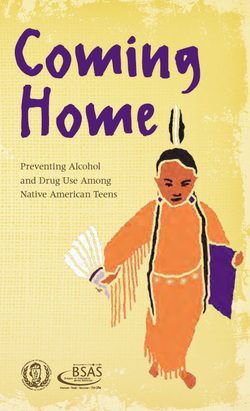 Mann, along with other Native American leaders worked in collaboration with the Massachusetts Department of Public Health to create this booklet as a resource for the prevention of drug and alcohol abuse. These booklets are available to anyone and you can click on book to get your copy. Whether a grade school , university , museum or other organization ; Mann has travelled near and far to share culture, traditions and writings. Please feel free to contact us to set up a reading or cultural program at crowshield@hotmail.com Thank you!